I absolutely love my Smartphone. I must do. I spend so much time playing with it, reading about it and now, I’m writing about it again. This time it’s my hardware. My basic phone is an Orange M3100, a re-badged HTC TYTN (sometimes known as an HTC Hermes). It was supplied with an Windows Mobile 5 with customisations from Orange, but I have recently upgraded to WM6. My fist Microsoft-based device was an IPAQ 3780, but that was rather large. The TYTN is somewhat smaller. Occasionally, I find the screen a little small compared to the IPAQ, but generally I hardly notice the difference. Moreover, the HTC is genuinely pocket-sized, which makes it somewhat easier to carry. That said, the slide-out keyboard makes the unit rather thick. When I bought the device I anticipated getting a lot of use out of that keyboard, but the reality is that I find stylus-based text entry much quicker and easier. I wouldn’t buy a device with a keyboard again – I would prefer slim, with the option of using a larger bluetooth keyboard if I really needed one. Not only is the unit thick, but it is heavy, too. There are not many things missing from the TYTN one is built-in GPS. Apparently, it has a GPS chip, but it has been disabled by HTC with no possibility of reactivation. Other than that, I find the basic hardware quite adequate. I use the WIFI quite a lot at home, and occasionally at McDonald’s (I know) where the hot-spots are free. The processor isn’t fast by today’s standards, but it is good enough. The screen is crisp and responsive. I’d like VGA graphics (who wouldn’t), but QVGA is actually good enough. Memory is impossibly tight, but the Micro-SD slot makes expansion relatively easy (more below). All in all, a great little phone. A bit of a brick, but actually rather good. The addition of a Mini-SD card is more-or-less essential to overcome the memory limitations of the TYTN. When I was running WM5 I used a 2GB memory card, which is the largest that a WM5 device will support. After loading up a few applications and a few albums worth of MP3s, 2GB seems rather small. Fortunately, I was able to upgrade to WM6, which supports the new SDSH specification cards, allowing the TYTN to support larger memory capacities. 8GB cards are reasonably priced. At the time of writing, Play.com had a good deal on 8GM memory, so I currently have one of these installed. Larger cards are available, but the maximum capacity of Micro-SD is still relatively small compared to other formats. I think 16GB is the limit at the moment – and it “ain’t cheap, neither”. The other essential is an adapter to allow me to use headphones with a ‘normal’ 3.5mm jack plug. Quite why HTC have chosen to use a weird USB headphone jack is a mystery. Fortunately, there are several alternative adapters on offer. 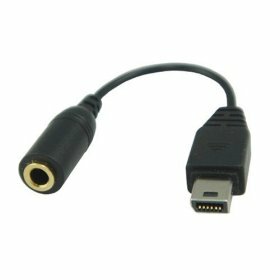 The first one I had consisted of a USB plug connected to a 3.5mm socket by a short lead. Unfortunately, the constant flexing of the lead soon resulted in internal damage to the lead, a bad connection and intermittent functionality. I have now replaced the faulty adapter with an adapter that is moulded as a single unit. It has proven much more reliable, and has the added advantage of a little clip to enable me to teather it to the headphones so that it doesn’t easily get lost. The TYTN isn’t supplied with a charging stand. I now have two, and am very happy with both. On my desk at work, I have a simple dock that enables me to charge and sync the phone. As an added bonus, I use my phone as a clock when I’m sitting at my PC. The other stand is a Brando MusicDock. I mainly use this at home, where (with appropriate software) it turns the phone into a neat little mp3 player / Internet radio. Unlike the other stand, I don’t use it every day, but when I do use it, I really enjoy it when. The down-side to both these products is that they are specific to the TYTN. When I eventually trade in my phone, I’ll need to replace them both (and am particularly concerned that the MusicDock will be irreplaceable). I don’t like the case that came with the M3100, so I decided to buy an alternative. In days gone, I used a top-of-the-range leather Krusell case with my old IPAQ, and found it absolutely superb. It did a great job of protecting the device, made it easy to carry on a belt-clip, had some handy storage for memory cards, and it looked absolutely gorgeous. Having had such a good experience with this case, I bought the nearest equivanelt for the M3100. I must admit, I was disappointed – although in fairness, to Krusell, I think my disappointment is not necessarily their fault. 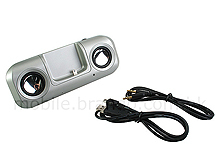 It doesn’t help that my old IPAQ case was so good that Krusell have given themselves a very difficult act to follow. However, the real problem is that the M3100 is a difficult item for which to build an enclosure, what with its slide-out keyboard, multitude of buttons, camera, expansion slot and overall brick-like shape. Krusell’s design is, of necessity, a compromise. This leaves some parts of the phone quite unprotected. The first time I dropped the phone, it happened to land on an area protected by the case. The second time, however, the phone landed on its unprotected corner, so leaving the body of the phone badly scarred. A few more drops later, and the case itself split. The other problem is that the bulkiness of the M3100 means that when attached to a belt it leaves an unsightly bulge under longer jackets and coats, and it is always in just the wrong place when wearing a seat-belt or sitting on sofas. As a result, I have not replaced the case. I now carry the phone ‘naked’. It usually ends up in my jacket pocket: I’m not sure that this does my jacket any good, but it really isn’t that bad either – or loose in a bag. Interestingly, I am much more careful with the thing now that it is case-less; so despite a few more minor knocks and scratches, the phone is still going strong. 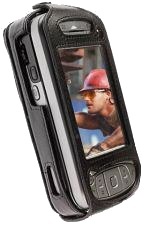 This entry was posted in Review, WM5 and tagged HTC Hermes, HTC TYTN, M3100, Pocket PC. Bookmark the permalink. Thanks for this. Looking forward to the software tips! The HTC phone is really crap. Don t get it. It is a complete waste of money. Every so complicated to set up email etc … takes forever. Very un user friendly. don t buy this phone … its really crap. email is soooo hard to get working. seriously, you would be better spending your money taking your wife shoe shopping for the whole weekend ! where did you get the headphone adaptor from? I can’t agree, but I’ve been using Windows Mobile devices for a few years now so I’m used to their quirks. Also, I use the excellent FlexMail application from WebIs. It really is superb, and I found it very intuitive. That said, these devices are anchient now – I’d seriously consider an iPhone if I was buying today. I probably got mine from ebay (but I can’t honestly remember). If you search ebay for “htc adapter” you’ll probably find one. (The seller called “otakugarden” had one last time I looked). 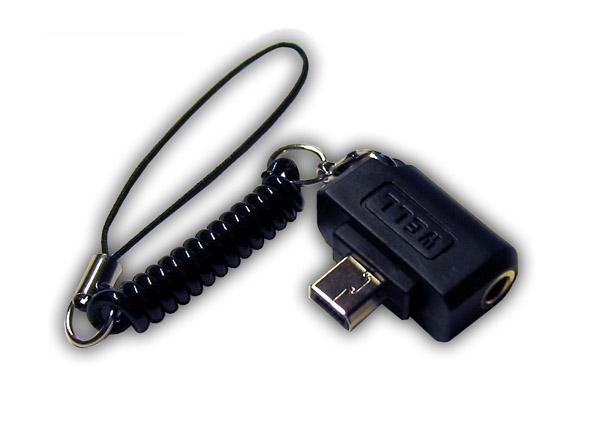 The listing may say that the adapter is for a different HTC phone, but they should work for any HTC. All the best finding what you need. I finded around your blog and found your blog is excellent. There are a lot of info for me to study, thanks for your great share.